Did I not blog about this already?? I ran across the link in my stats, and realized that I didn't even talk about the scribbly map like I had planned on. 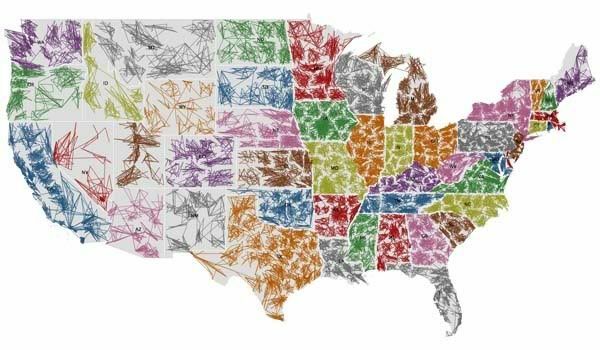 It connects all the zip codes in order to see how they match up with the state lines, etc. Pretty cool to look at, and kinda goes along with my other map post about soda names.